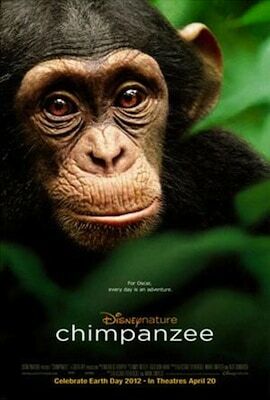 DisneyNature's Chimpanzee Featurette: See The Movie and Help The Jane Goodall Institute! DisneyNature’s Chimpanzee Featurette: See The Movie and Help The Jane Goodall Institute! Who's excited to see Chimpanzee, the upcoming movie from DisneyNature? Disneynature takes moviegoers deep into the forests of Africa with Chimpanzee, a new true-life adventure introducing an adorable young chimp named Oscar and his entertaining approach to life in a remarkable story of family bonds and individual triumph. Oscar’s playful curiosity and zest for discovery showcase the intelligence and ingenuity of some of the most extraordinary personalities in the animal kingdom. Working together, Oscar’s chimpanzee family—including his mom, Isha, and the group’s savvy leader, Freddy — navigates the complex territory of the forest. Finally, I'm so pleased to share that, for every person who sees Disneynature CHIMPANZEE during opening week (April 20-April 26, 2012), Disneynature will contribute $.20 per ticket to the Jane Goodall Institute for the Disneynature Tchimpounga Nature Reserve Project with a minimum of $100,000 pledged to this program. 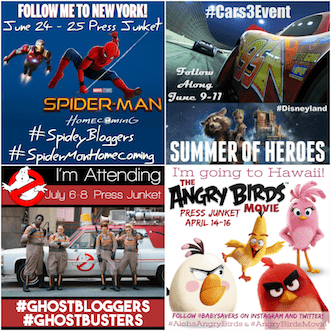 I love it when companies like Disney use their popularity to help amazing causes like this one. I'll definitely be looking to see if this movie is showing at a theater near me!